WatchMaker the #1 watch face platform in the world, with millions of smartwatch users, is finally available on iPhone and Apple Watch! WatchMaker is supported on many smartwatches - please check our website for full list! One purchase! One low price and over 60,000 watchfaces! 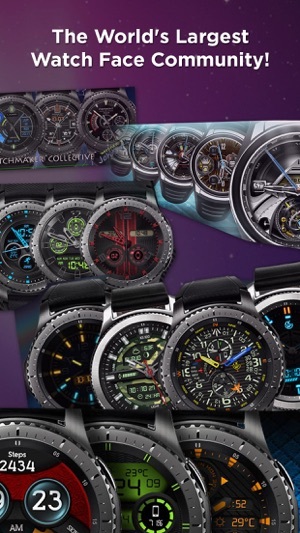 Enjoy 60,000+ watches with WatchMaker: the largest watchface collection and community in the world! WatchMaker is now available for Apple Watch!! 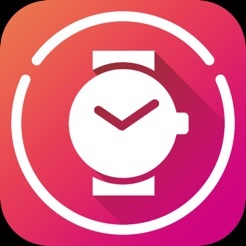 • Turn any watch into animated wallpaper with digital overlay! • See a new face with every flick of your wrist! • Press and hold to play the animation! • Please note some watch features are not currently supported on Apple Watch, e.g. analog hands, weather, battery. 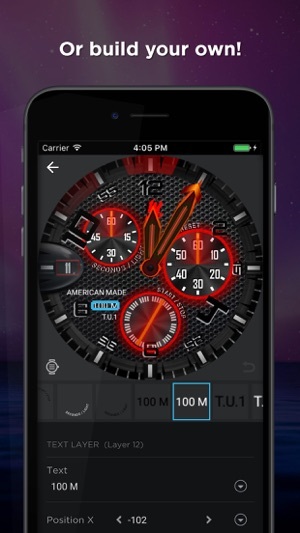 These features are supported on other smartwatches with this app! 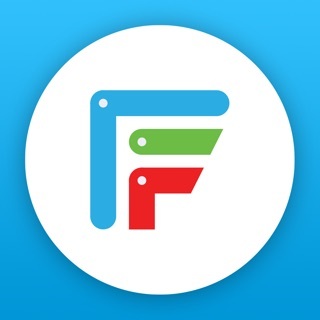 • Collect 1000's of watchfaces or share with your friends! • Design or customize existing watchfaces! 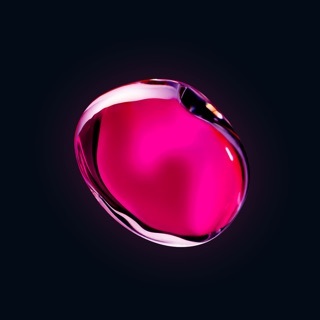 • Animations - Create bright / dim / tap animations with 45 tweening functions! • Cool Text Effects - Add glow, outline, even flat shadow! • 1-Click Widgets* - Including battery (watch/phone) + WiFi widgets! • Countdowns* - Days until your birthday, Christmas, etc! • Stopwatch* - Why design a watch when you can build a stopwatch?! • Programmable Watches* - use our inbuilt LUA engine to make calculator, stopwatches, countdowns, anything your like! 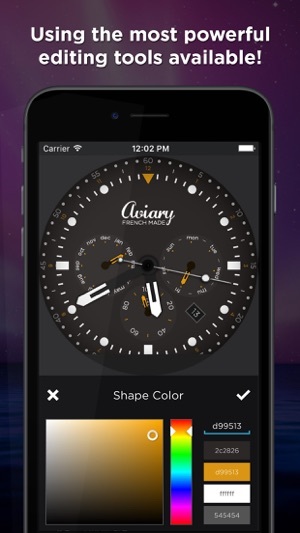 Upgrade to the Premium version and unlock all premium watches, get regular content updates and remove ads! The prices above are in US dollars. Pricing in other countries may vary and actual charges may be converted to your local currency depending on the country. * These features are not yet available for Apple Watch but are supported on other watches - please check our website for full list! - Smaller app size on iPhone! APPLE SHOULD LEARN FROM THIS. 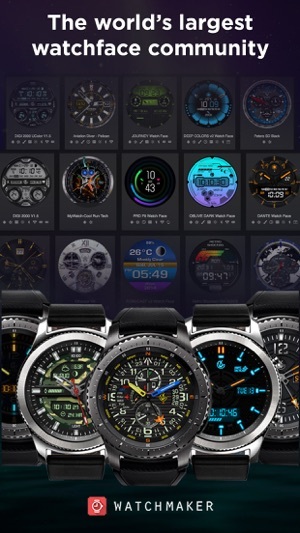 If you have an AW or Tizen watch (Gear S3 etc.) then this app is a must. 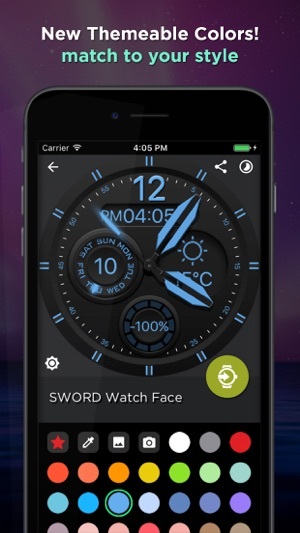 Customize already created watchfaces, or create your own to your tweaking content. This is something Apple shoukd've done for its own Apple watch (Square face and all!) Definitely worth the one-time $3.99 upgrade for premium watchfaces, but not a requirement for creating your own. Only reason for four stars is that it is a bit of a pain loading the watchface onto the watch: The Bluetooth connection must be temporarily disabled, and instead a WiFi connection is required or you'll get an error (at least this is the case for the Gear S3 on iOS). After the faces are uploaded the a Bluetooth connection can be reenabled. All works smoothly afterwards; worth this minor inconvenience for sure. Setup resources are readily available, but hard to find resources for tutorials on creating your own faces... not that difficult to figure out after a bit of playing around, however. The app is outstanding; get it. 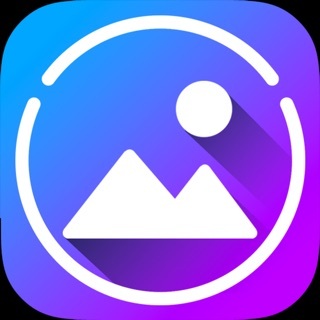 WatchMaker now supports Apple Watches - create your own faces, animations, GIFs, live photos and much more! Yes I have seen the other reviews and the developer response AFTER I paid the premium cost. I didn’t bother looking because it shows on your watch faces things like phone and watch battery power on the face. Yes developer, spare me your repetitive response of “it is in the description”, however it is really sending a false sense of functionality. Why would I dig through your description when it obviously shows certain functions to be working, and why would I want just a picture of battery power? It was clearly done to get people to pay a price. It seems from other reviews, no one else got a refund, another indication of a scam app or you just don’t care about your customers. Either way you got your $4 and the last minutes I will spend on your crap is writing this review. Update: I found where my $4 went to, paying people to put fake positive reviews and someone else to cut and paste the same response of “it is in the description”. Seriously, at least put somewhat realistic sounds names in your fake reviews, not a bunch of random letters. 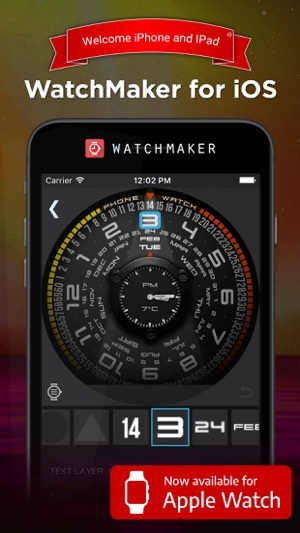 WatchMaker is the largest watchface platform and community in the world. We have over 2 million users and 40,000 watchfaces - more are added every day! Our reviews are written by our community! UPDATE: Ok, so I noticed several other people didn’t realize it doesn’t work w Apple Watch, and the developer kept claiming there’s a disclaimer in the second line of the description, so I went back to look. Turns out, that’s not the case. It’s in the 3rd paragraph down AFTER the app previews, and you don’t even see it unless you tap the “more” button. If, like 90% of people, you don’t read every single line of the app description before downloading an app, there’s no way of seeing it until it’s too late. The fact that I had to actually SEARCH for said “disclaimer”, is pretty sad. After so many reviewers making the same mistake and requesting a refund, you’d think they’d make that very important caveat a little more prominent. 1) Despite being exclusive to iOS, it doesn’t support the Apple Watch (which makes NO sense), and they don’t even tell you. I had to figure that out through trial and error. 3) Worst of all, if there is a face you’d actually consider spending money on, you can’t even preview it on your watch to see if you’d like it before purchasing it. Luckily I tried one of the 5 (incredibly basic, unattractive) free faces, and learned it wasn’t compatible w Apple Watch before I made any purchases. Guess the Difference? Spot It! 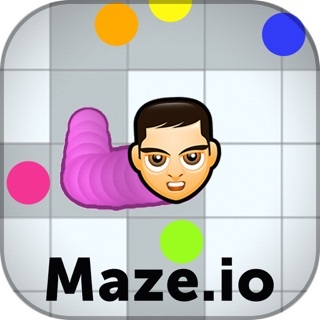 Maze.io - Snakes in a Maze! !